Ohhhkay, I’ll bite. Lets check this out. 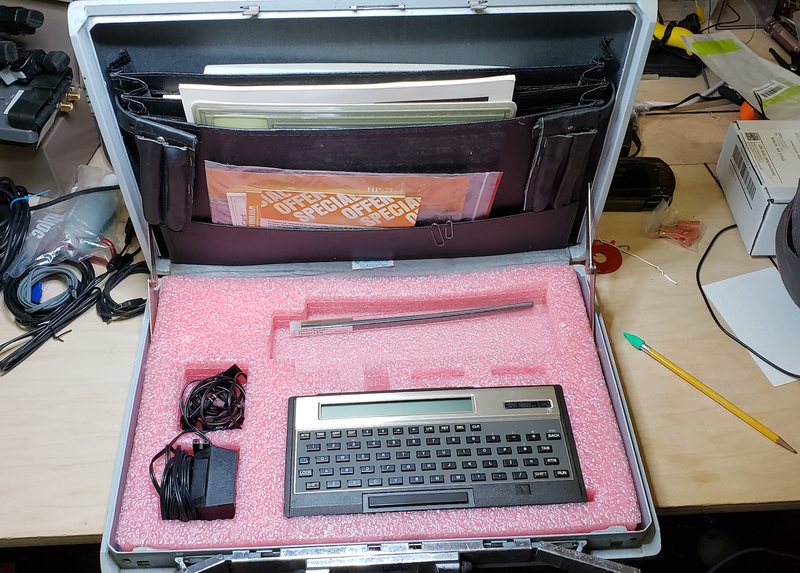 Opening up the case revealed… an HP 75C handheld computer, made by Hewlett Packard in the early 80s. This machine has some pretty nifty functionality. A built in BASIC, expandability, magnetic card reader for loading / saving programs, a full QWERTY keyboard, and rechargeable batteries. Writing code on it is remarkably easy, with a clear easy to read screen and nice tactile feel to the keyboard. It’s a great addition to the collection! The form factor is an extended version of my beloved 10-Series calculators.